VIII, 210 p., 1 Tafel, 13,5 x 20,9 cm. 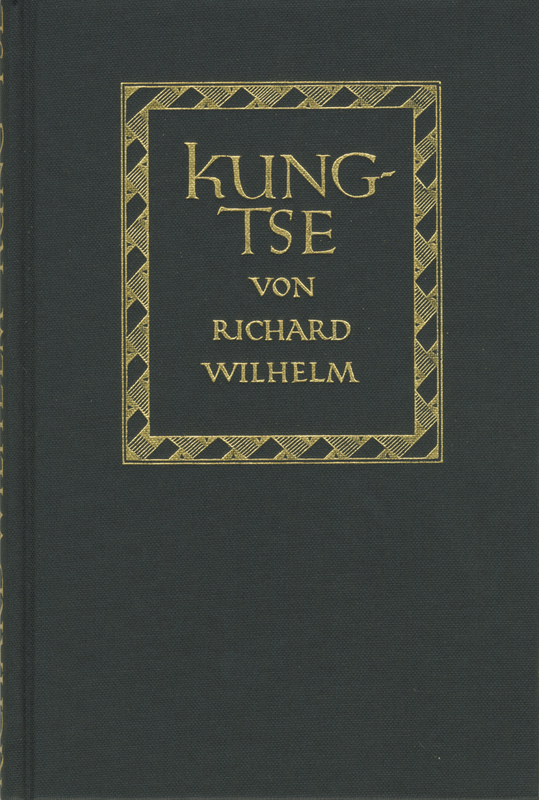 Apart from the life and work of Confucius, Richard Wilhelm’s informative study, published in 1925 but still relevant today, focuses on his doctrines. Numerous quotations of the ›Master‹ serve to acquaint the reader with ›The Doctrine of Unity‹ and ›The Organization of Human Society‹. In doing so, he gives a comprehensive review of ›The Book of Changes‹, ›The Rectification of Names‹, and ›The Book of Rites‹. Wilhelm’s book concludes with a study of Confucius’ rationalistic attitude towards esotericism. The comprehensive annotation apparatus facilitates access to the sources available. Kaum ein anderer könnte uns ein solch lebendiges Bild des von Tragik umwitterten großen chinesischen Lehrers geben und uns auf so knappem Raum in seine Weltanschauung einführen. Das Werk und die Lehre des Confuzius haben die chinesische Kultur bis in unsere Tage gestaltet.